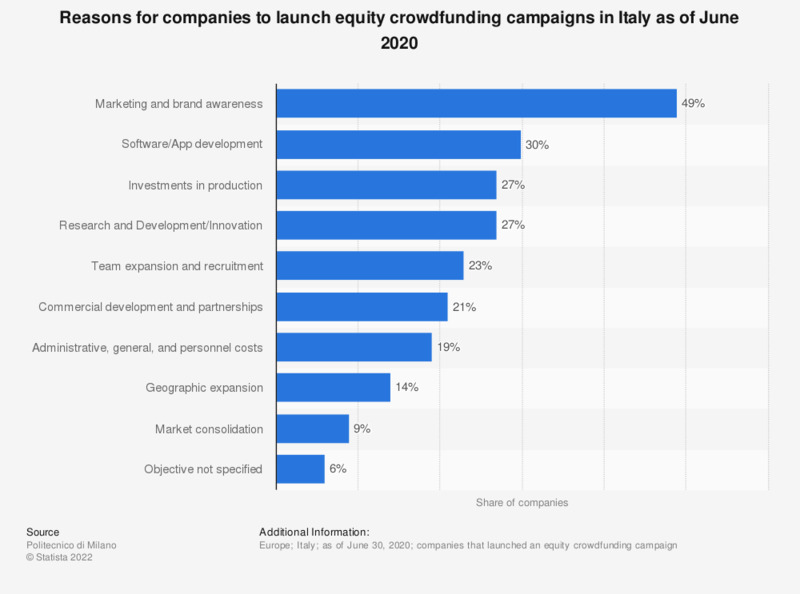 This statistic illustrates the main reasons for companies to launch equity crowdfunding campaigns in the in Italy from July 2017 to June 2018. According to the data, 56 percent of the companies decided to finance their business through crowdfunding for marketing reasons and brand awareness, 37 percent answered that the aim was to raise funds for software development and 34 percent for research and development in general. Investment objectives mentioned by the 214 companies involved in an equity crowdfunding campaign on portals authorized by CONSOB as of June 30, 2018.